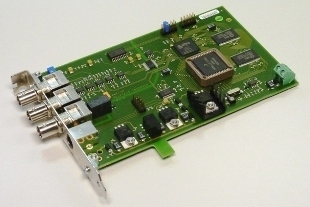 PHecap has a unique teletext system developed consisting of an in-house developed inserter card and a user-friendly software package. 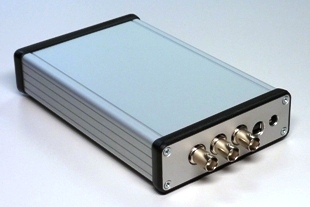 Our low-cost system is specially designed to meet regional and local broadcasting teletext. The editing and the broadcast can be done from a single computer, but our system can be arranged so that editing and managing the pages can take place at a distance, including via the Internet. We help you to find the perfect solution. 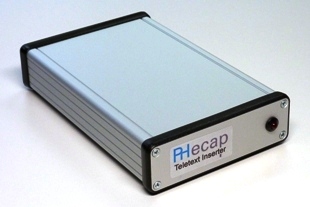 The heart of the PHecap teletext system is the in-house developed USB teletext inserter. This inserter we can deliver in two versions: a single version that is installed in a PCIe slot of a PC and an external version in a separate enclosure. In both cases, the inserter communicates with the PC via the USB interface. The internal version can be directly on the motherboard or connected to an external USB cable. Along with the teletext inserter PHeTxtServer is the broadcasting station for teletext. PHeTxtServer is software which is installed on the same PC as the teletext inserter. 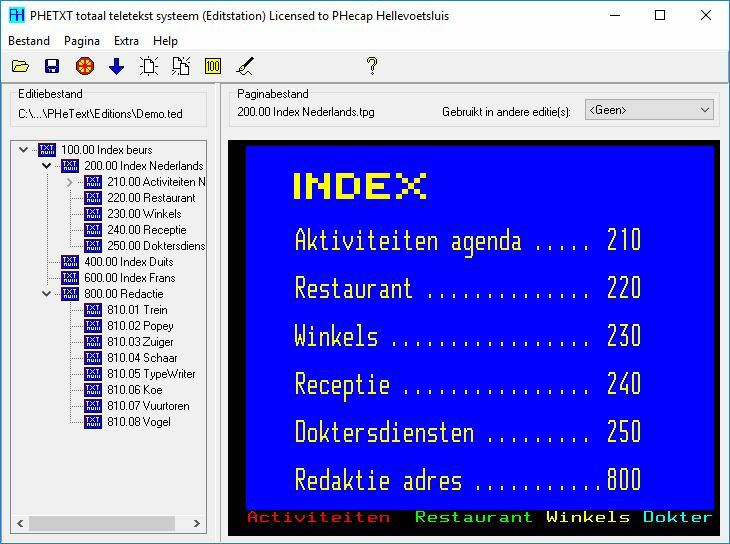 This software allows for the actual update of the teletext pages. The updating takes place via the internet and uses the FTP protocol. The PHecap teletext system is flexible. 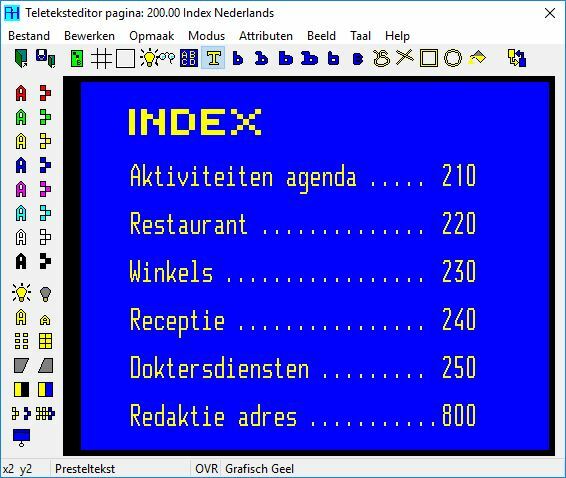 We have developed software that allows the creation of the teletext pages can be done in different ways. The PHeText editing and broadcasting software can be installed on the same PC as the teletext inserter but this software can be installed on any other computer also. Additionally PHecap has also developed software where it is possible to edit the teletext pages over the Internet. For example, associations and municipalities can fill the pages assigned to themselves. Plug & Play PCIe card or external version. Processor on board, teletext transmission continues as long the PC power is on. 2Mb page memory, over 2000 pages in transmission. Very fast loading of pages, over 250 pages per second, so 2000 pages in less then 8 seconds. Transmission lines software selectable, lines 7 - 22 and 320 -335. Easy to change the header text (name of broadcaster). Display of day/date/time or date/time or time only selectable. Colours of header text and day/date/time separate selectable. You can select one of four languages for the day/date in header. All above mentioned settings are stored in non volatile ram on the card (EEROM). So after a power failure all the settings are maintained. Test pages in ROM on the card. So after power on you have always a transmission. Processor software can be uploaded, so without hardware modifications the functionality of the inserter can be changed. Clear overview of the pages as a tree structure. More then one edition possible. Provided with a wizard to add pages. Also a wizard for adding sub pages. Provided with a one hour tutor. Fast selecting pages from library. (screen dumps page maintenance and Fastext). Stand alone (hardware and editing software in one computer) or client/server (hardware and editing software in different computers), communication via network. PHeTxtServer program for the situation where for several users the access rights for certain pages can be configured. The communication is established through the internet by use of the FTP protocol. PHeWebTxt program for viewing and editing teletext pages all over the world through the internet. Very easy insertion of Fastext links (screen dumps page maintenance and Fastext). Import and export of text to and from other Windows applications by the clipboard. Special characters such as ü, ä, ë etc are translated as well as possible. Text editing as in every Windows application. Graphics drawing with the mouse (within the capabilities of prestel). Providing the whole screen of foreground an background colour very easy. Double height, flash concealed text etc. 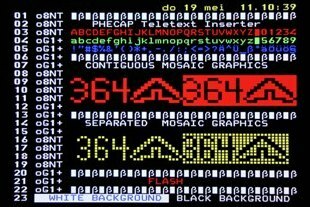 Level 1.5 teletext. Import of prestel pages from other manufacturers, converters can be made on demand. Over 80 graphic prestel pages included. On this screen you see on the left the so-called page tree and right the selected page. Double-clicking on the page leads into the teletext editor. A teletext page has a very special construction. Use is made of so-called serial attributes to indicate color, double height etc. See the manual on the download tab. On this screen the inserter settings can be edited, such as composition of the header, line settings etc. Bypass relay, the video signal is fed through at a power failure of the inserter. Internal sync generator, at the absence of a video input signal the internal sync is switched on. TV test pattern, checkerboard selectable 3:4, 16:9 letterbox or amorphous. WSS-signal, selectable 3:4, 16:9 letterbox or amorphous. Supported by all 32 and 64 bits Windows versions from XP to Windows 10. On this page you will find the latest versions of the PHecap teletext software. To use fully the programs, you need the corresponding PHecap teletekstinserter. If the inserter is not available, the software works in demo mode. There are some restrictions such as not being able to save the files. Windows 10 blocks installing programs downloaded from the Internet. Now the program can be installed.